As an addition to the various methods of pony truck suspension outlined in Scalefour Digest 41.0, here's an excellent way of springing the axle in a Comet pony truck from Dave Holt. 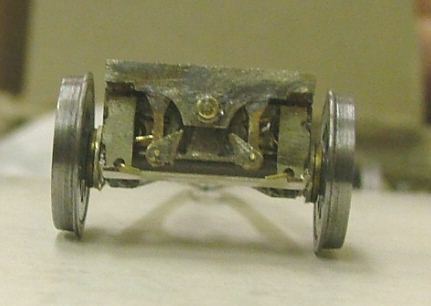 Two 0.25mm diameter springs bear independently on either side of the axle. 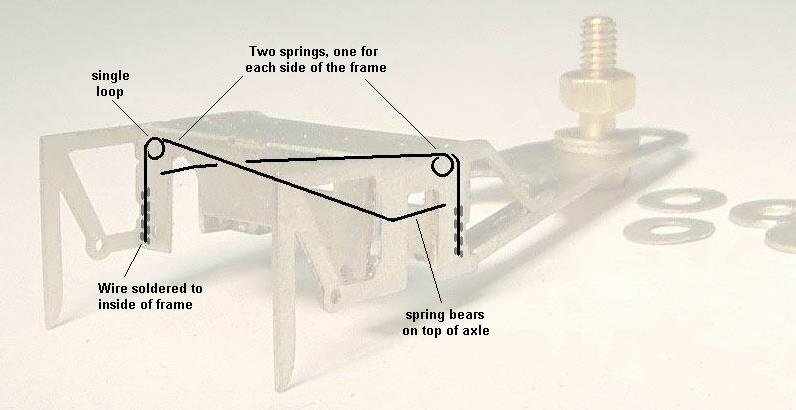 The springs are mounted inside the frame 'box'. 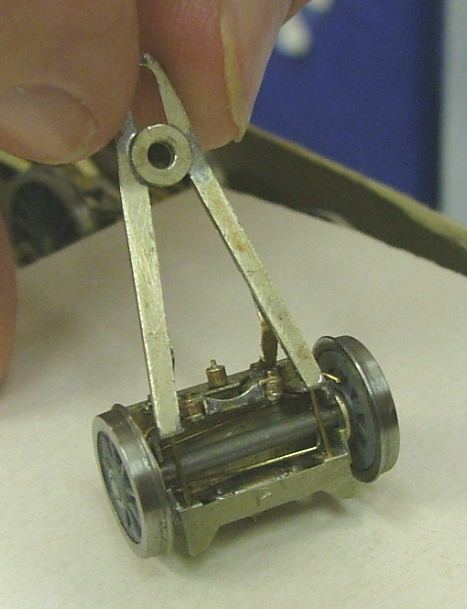 The arrangement of the spring provides a reasonably consistent downforce on the axle over a comparatively long-travel, so no additional springing is required between the pony rubbing plate and the loco chassis. The diagram above shows the principle of the arrangement overlaid on a picture of the Comet GWR pony, but Dave's model uses the LMS version, to which he has added all kinds of cosmetic swinglink detail to the frame. Washers take up all the sideplay between the wheelset and the pony frame. 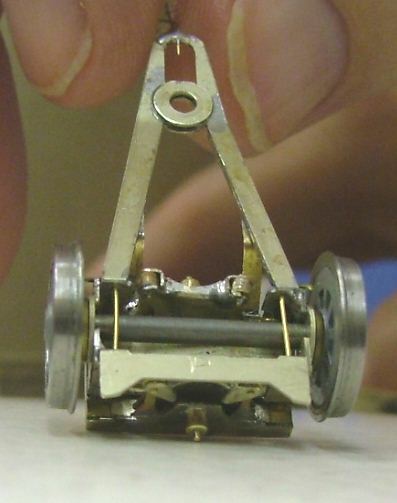 Side-control springing is by means of a wire soldered onto the far end of the pony frame, on the other side of the pony pivot, the wire engaging with a small hole in the loco chassis.